We provide exceptionally focused real estate services at a reasonable price. We do not aim to be the biggest, but simply the best. With a well seasoned staff and millions of dollars of real estate brokered, let us put our knowledge and expertise to work for you. 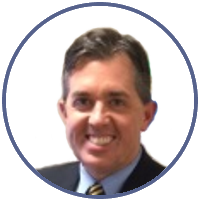 Jeff Rogers has held his real estate license and been associated with FS Realty since 2007. Having spent his professional career in both the for-profit and non-profit worlds, that experience brings a unique and valuable perspective to the real estate marketplace. His passion is serving his clients – through seeing their needs met and expectations exceeded in all aspects of the transaction. He too holds integrity in highest regard – and seeks to build long-standing customer relationships for years to come. Jeff is a licensed Realtor and a member of the Commercial Alliance of Realtors – West Michigan (CAR-WM) and affiliated with the Grand Rapids Association of Realtors (GRAR). His other involvements include being part of Calvary Church, member of the Rotary Club of Grand Rapids, and other non-profit board leadership positions. He and his wife have one son, and live in southeast Grand Rapids.